Spray 3-5 pumps at the roots and massage thoroughly. Comb through hair. Do not rinse out. I bought mine for 50% off at Etos, which is a drugstore in the Netherlands. I bought it because it was on sale and I was looking for some hair treatment spray. It was around the €6. I don't really follow the directions. I feel I need more sprays to cover my whole head. 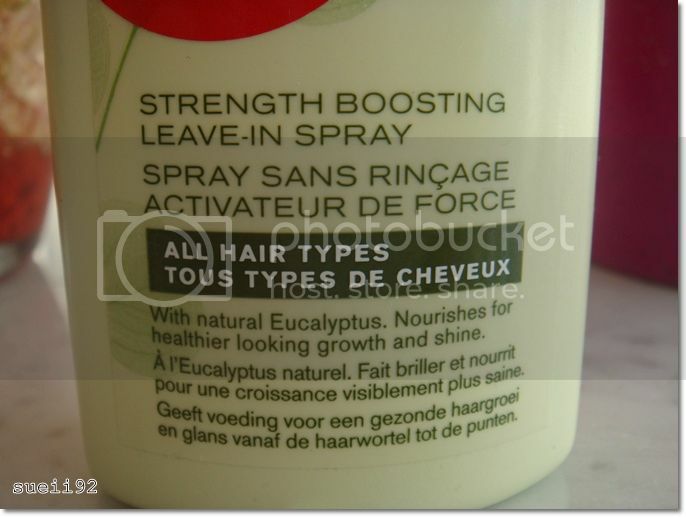 So that's why I just spray it here and there, on my roots but also on my hair itself. I will wrap it around with a towel to let it soak it in. After I do my skincare routine I will just normally blow dry it. I blow dry my hair every time I wash it, because I will get a headache if I don't. Once, I did leave it in my hair to dry to try out what kind of effect it might have. I got a really burning/biting effect on my scalp, mainly because of the alcohol ingredient I think. But after a moment I couldn't take it with the headache that came along and blow dried my hair eventually. I read on the internet that some people like this 'refreshing' effect. The scent is very minty and fresh, which I like. What I didn't like is the pump. It's a pump which you can't pump right after you just pumped. You have to wait a second before you pump again. This is a little bit annoying. Now the product itself. I definitely saw a change using it for a week already. 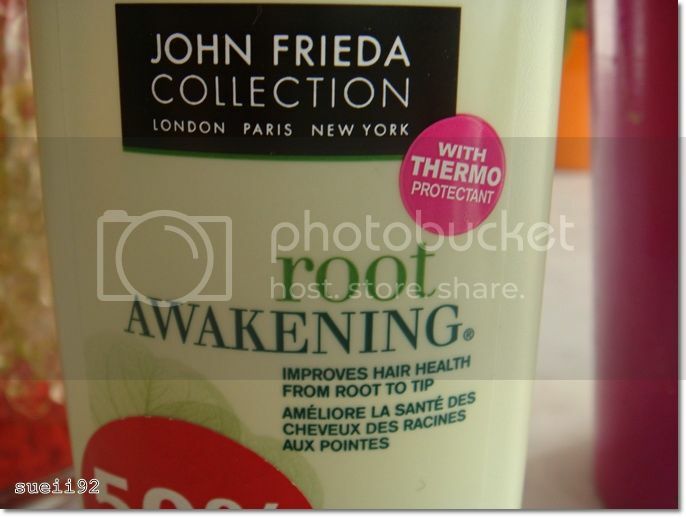 First when I used this on my long hair(with unhealthy ends) I did see a slight change. My hair became shinier. When I cut down 7 cm of my hair (the dead ends and to cut it into a horizontal shape at the back) I definitely saw a huge change. Together with a haircut and the product made my hair really stronger (loose less hair), shinier, healthier and softer. It also works as a thermo protectant and a bit as an entangler. Overall it really does what it says and I am really surprised how good this product works. It made my hair in a week stronger, healthier, shinier and softer. I really recommend it and I also will repurchase this.